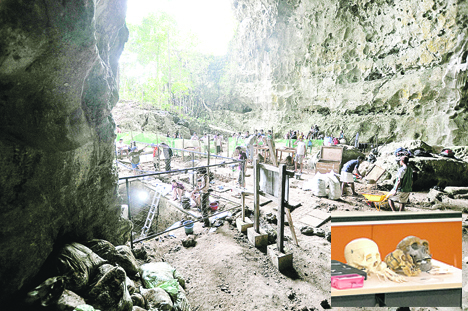 The species, dubbed Homo luzonensis after the island of Luzon where its remains were found, is not a direct ancestor of modern-day humans, but rather a distant ancient relative. The “remarkable discovery... will no doubt ignite plenty of scientific debate over the coming weeks, months and years," said Matthew Tocheri, associate professor of anthropology at Canada’s Lakehead University, in a review commissioned by Nature. The researchers from France, the Philippines, and Australia found the remains in the Callo Cave, where a bone dating back 67,000 years was discovered in 2007. “From the beginning, we realized the unusual characteristics of these fossils,” Florent Detroit, who co-led the study, told AFP at a press briefing. The discovery of Homo luzonensis “provides yet more evidence that hints that H. erectus might not have been the only globe-trotting early hominin,” wrote Tocheri. Luzonensis also has curved finger and toe bones, suggesting climbing may have been an important part of its behavior–something associated more with much earlier human species.